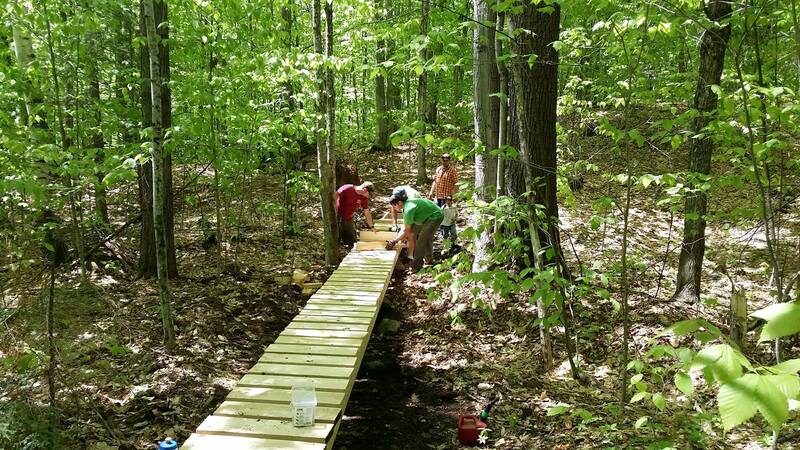 Pemi Valley NEMBA's largest project to date! 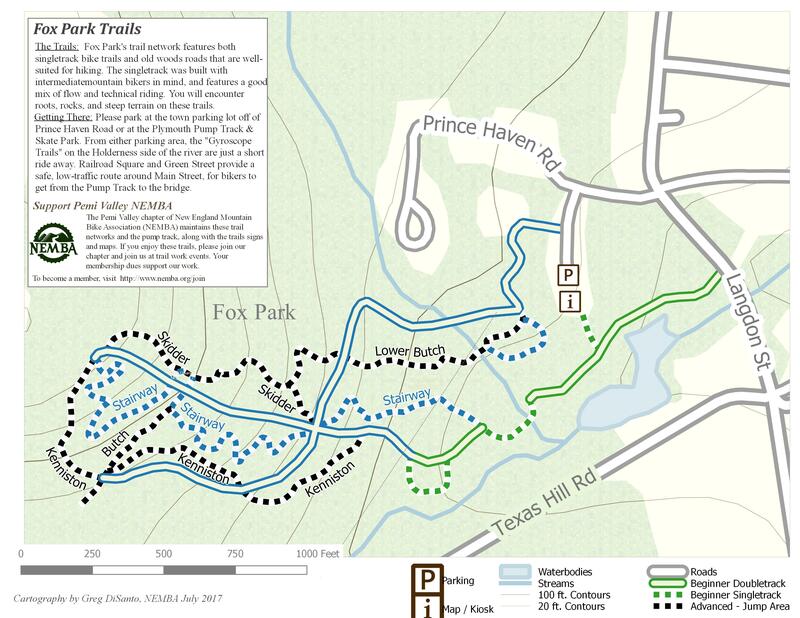 Fox Park has several long, hand built long looping switchbacking trails. There are quite a few hills to climb. But then you get some truly awesome flowy downhills, as your reward. There are plenty of tight tight technical sections and lots of hand made berms on the tighter corners. First time visitors may well find themselves off their bikes a bit. But by your second time around you'll know what to expect and the trails will seem much easier. All of the singletracks are designed to be ridden in both directions, and each direction brings it's own set of challenges and rewards. There's a short beginners loop, But most true beginnners will find it a bit daunting. While there's a little something for everyone at Fox Park, people who favor technical challenges will be happiest here. Stop by Rhino Bikes to get trail recommendation, and first hand accounts of the system.